We are already aware of the fact of how technology has become an essential element in our everyday life. The same applies to the field of education. 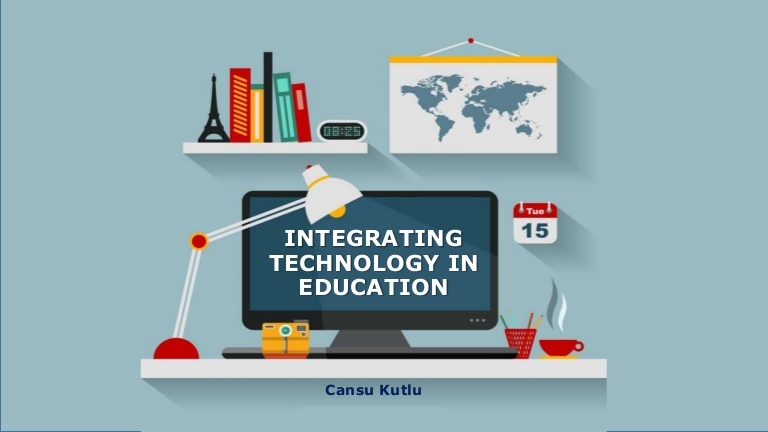 First, let us understand what technology integration is? In simple words, it the adoption of tools for students to apply both software and technical skills for addressing problem-solving and learning. The future of education revolves around technology integration. Well, some people still believe that including mobile apps in education might distract the students, however, considering the present education standards and scenario, the technology integration can promote easy understanding of complicated concepts which are difficult to understand by traditional teaching methods. Sometimes it is tough for students to understand the theoretical explanation of concepts because there are several concepts that require a 3D visualization for better understanding which can never be facilitated by pen and paper-based classroom teaching methods. If the same teaching is carried out through visual presentations like projectors, there are better possibilities of conceptual understanding leading to the improved level of apprehension in coaching and classrooms. Visualization is suggested as one of the best ways of supporting student’s education. The mobile apps are accessible round the clock. There is no need to worry about timings. It is a completely relaxed learning process. Educational Apps are accessible on mobile phones and tablets that are portable and can be carried anywhere. This prevents the unnecessary wastage of energy and time. Ed-tech classrooms prepare the students for future. The technical skills are essential for competing in the present world. Education is not just mugging up some concepts; it's also about computing problem-solving skills sustaining in the workplace. Adopting digital components for education is essential for developing a digital future. While preparing for competitive examinations, it is important for students to assess their preparations through mock tests and practice papers. Mobile applications offer you to summarize any specific chapter instantly and provides programmatically arranged chapter wise mock test series for better assessment of concepts. This is interesting and engaging if you learn easily from your mistakes. Visit us to get complete NCERT Solutions For Class 7 Maths and science along with other K10 classes. NCERT Solutions are the powerful resource for students as most of the questions asked in boards as well as competitive examinations are taken directly from the concepts taught in NCERT textbooks.